Many job seekers don't consider a career in retail beyond a low-wage cashier position, but the National Retail Federation (NRF) is out to change that. 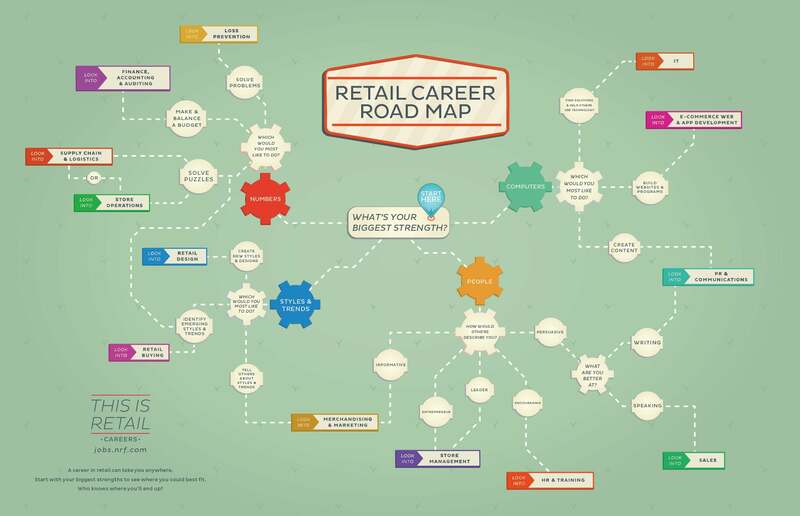 The NRF launched a campaign in April called "This is Retail" to address what the group sees as a perception problem and highlight opportunities for life-long careers in the industry. The flowchart below is the latest from the campaign. It takes potential employees through a quick and easy self-assessment of their skills and interests to find a possible career path in retail. The chart highlights positions such as logistics and public relations that both new hires and employers might not immediately consider, a valuable recruitment tool for employers to assess where talent can be best put to use.